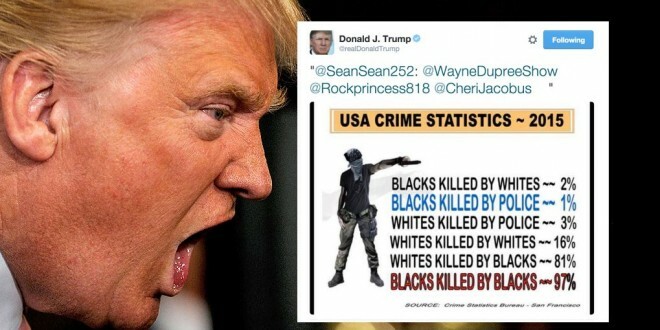 If you thought that the antics of Donald Trump‘s followers under his direction this weekend in Birmingham, Alabama were racist enough, the Republican presidential frontrunner took his right wing opinion to Twitter and posted an inaccurate image of this year’s crime stats, which aren’t even available yet. 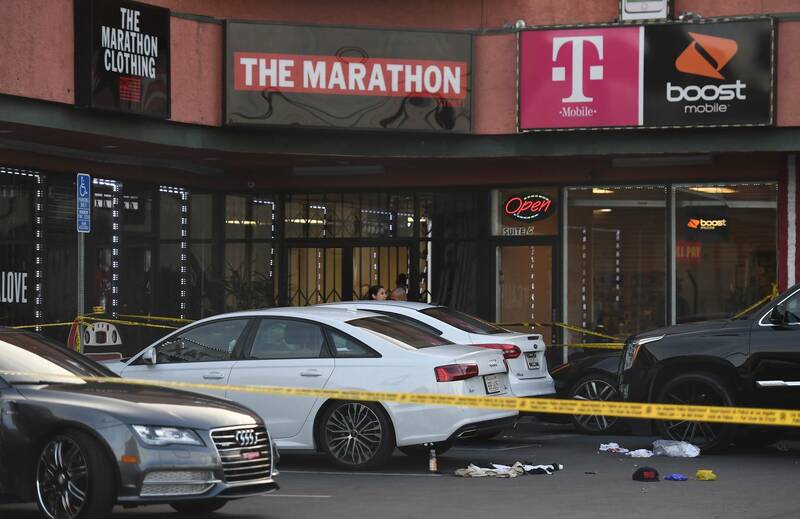 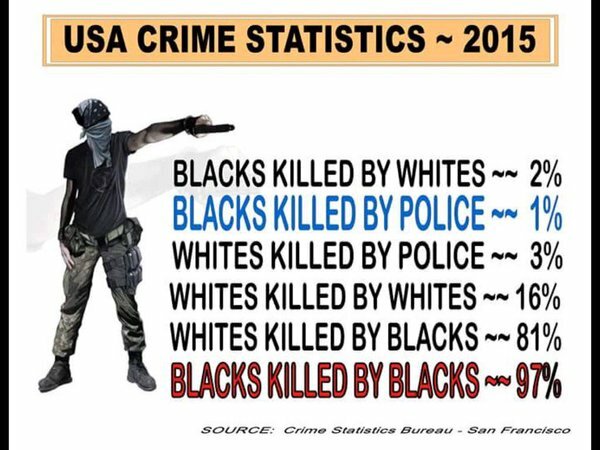 Tweeting an image of 2015 murder rates which cites San Francisco’s Crime Statistics Bureau, the real estate mogul never took into consideration that the FBI collects the nation’s official crime stats and racial make-up of offenders versus victims, which is not yet available for 2015. National polls show that Trump is leading the other Republican candidates by at least 10 points.